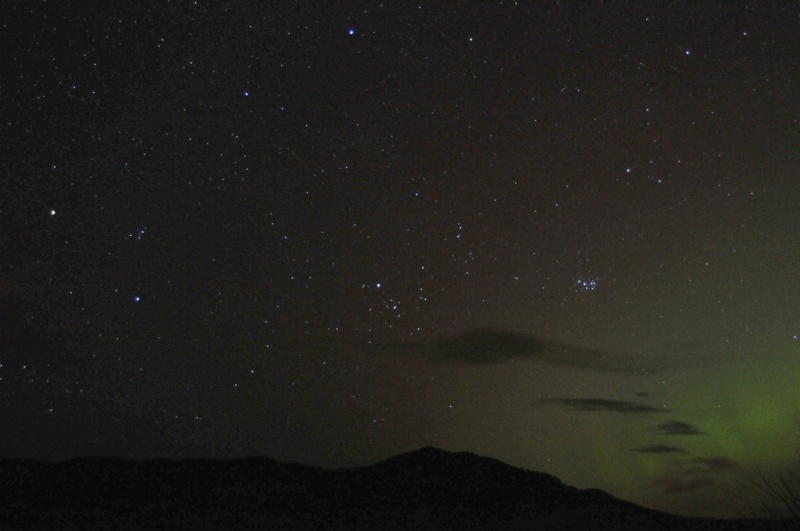 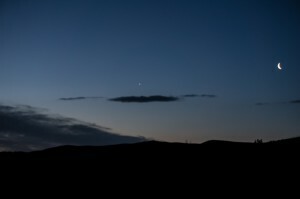 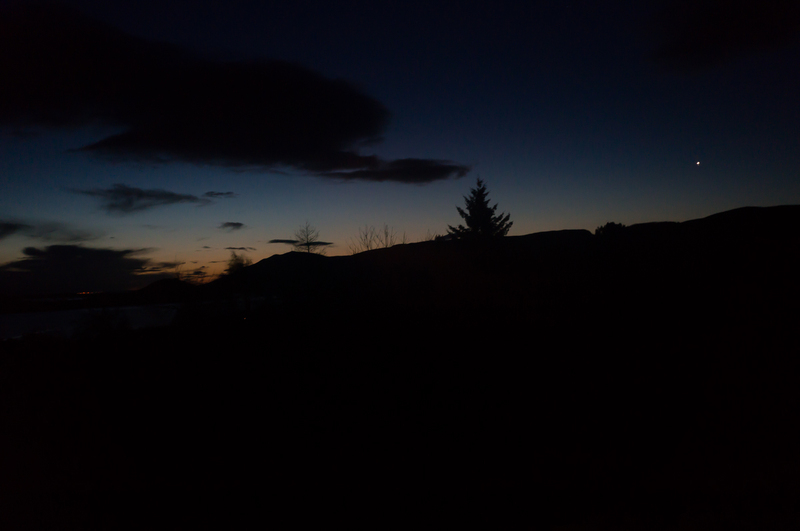 During February (at least) two interesting phenomena were seen in our skies. 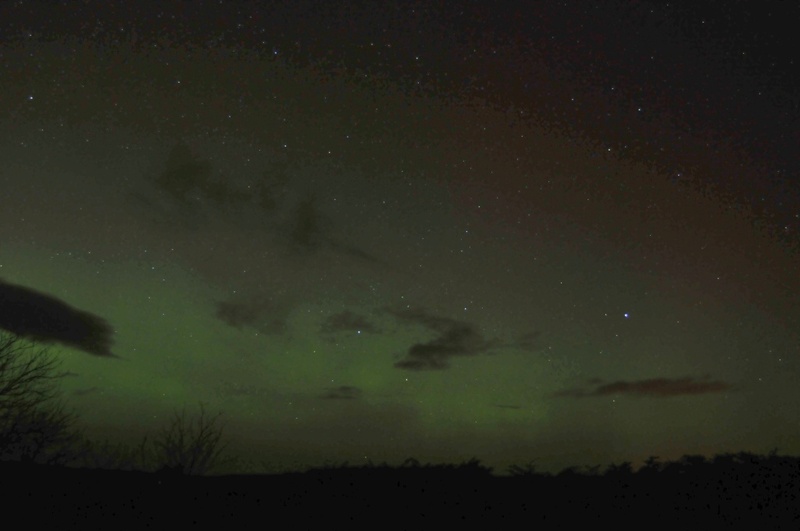 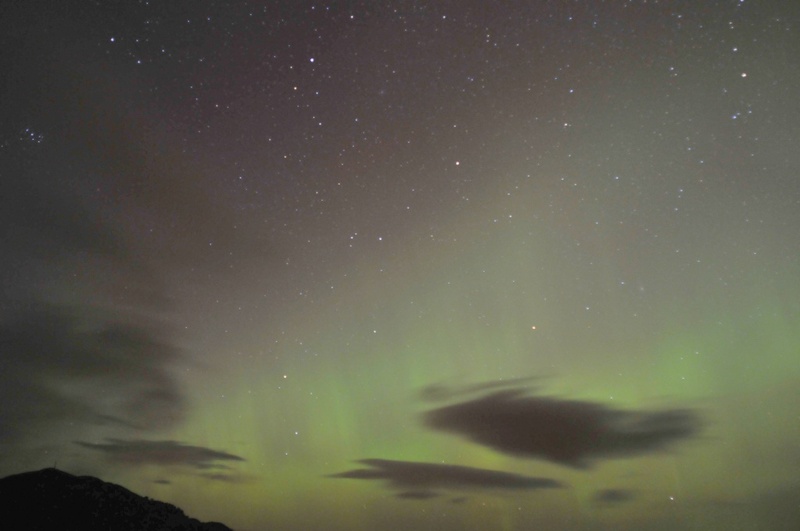 In the evening of 27th February the notable aurora display seen over much of the UK was the stand-out evening sight this month! 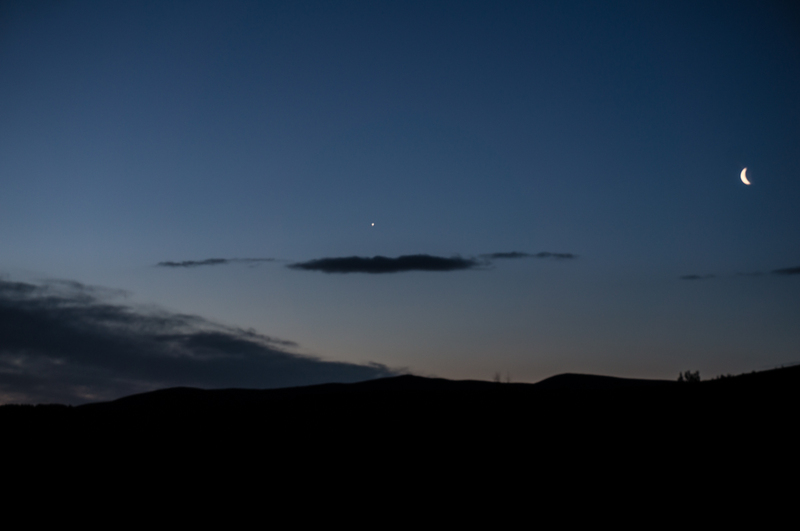 More regular, and predictable, was the silent, early morning conjunction of Venus and the Moon. 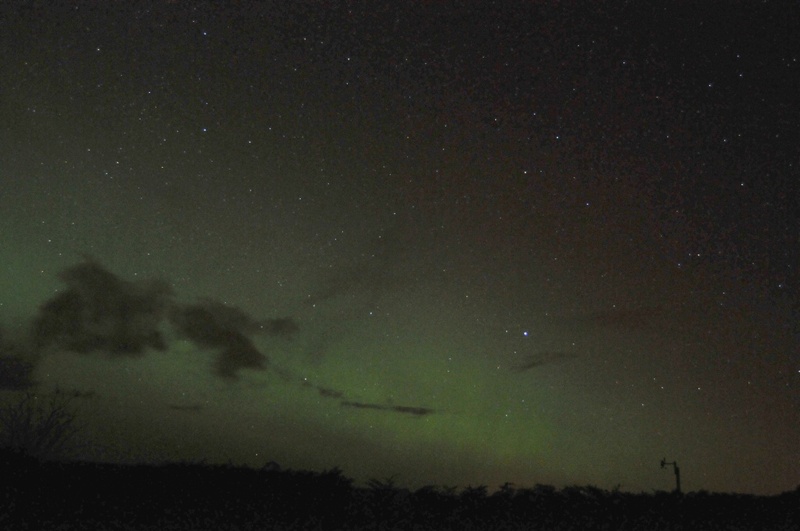 A clearing in the southeastern sky was needed – and such clearings were rare.